Explanation: It was a typical Texas sunset except that most of the Sun was missing. The location of the missing piece of the Sun was not a mystery -- it was behind the Moon. Sunday night's partial eclipse of the Sun by the Moon turned into one of the best photographed astronomical events in history. 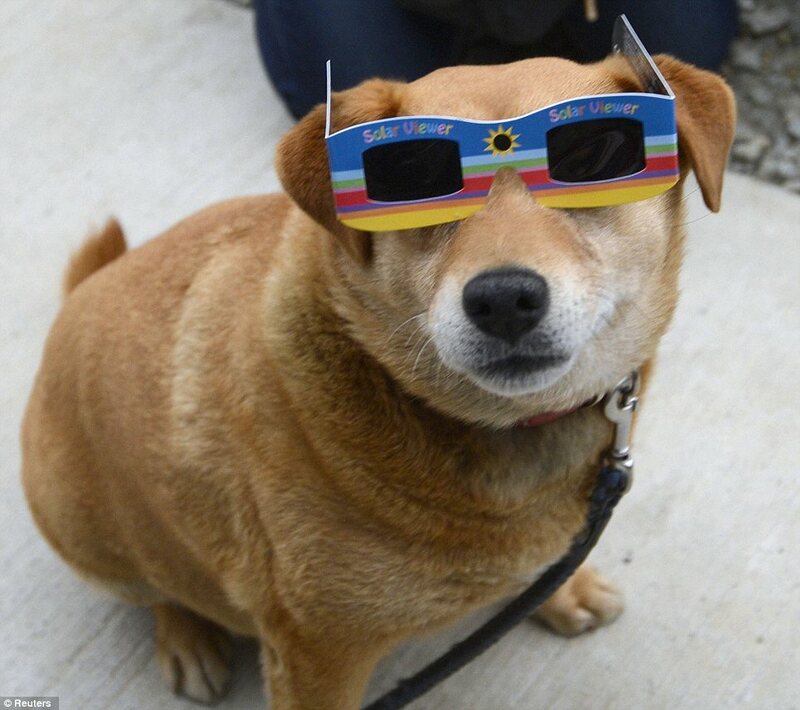 Gallery after online gallery is posting just one amazing eclipse image after another. Pictured above is possibly one of the more interesting posted images -- a partially eclipsed Sun setting in a reddened sky behind brush and a windmill. 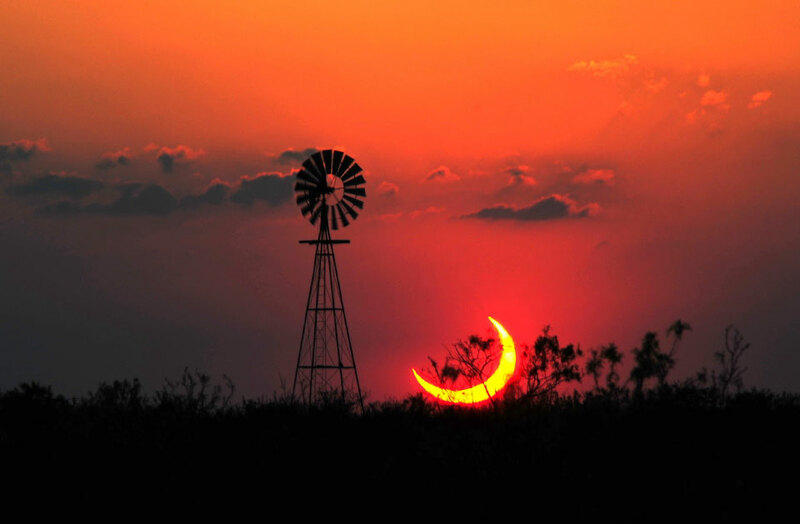 The image was taken Sunday night from about 20 miles west of Sundown, Texas, USA, just after the ring of fire effect was broken by the Moon moving away from the center of the Sun. Coming early next month is an astronomical event that holds promise to be even more photographed -- the last partial eclipse of the Sun by Venus until the year 2117.